The nature of law falls into two categories: what the substantive laws we desire to declare rights and obligations and otherwise maintain peace and tranquility, actually are, and what procedures we arrange to put these laws into practice. 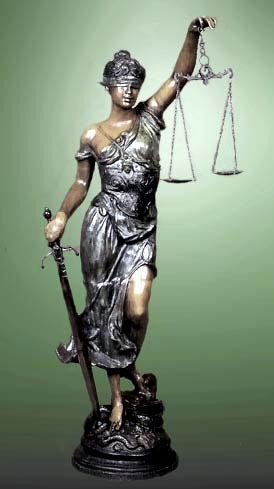 Those wishing to study the law might be surprised to find out the amount of our law which relates to procedure and how the penalties for criminal or negligent behavior, or the outcomes of disagreements, can depend upon the legal procedures in place for the specific jurisdiction rather than the “fundamental justice” one might expect to find in any liberal democracy. relevant and reliable evidence in a criminal trial can be excluded from presentation because of how it was obtained. reliable evidence in a criminal trial can be excluded due to a claim of irrelevance despite contrary opinions. a guilty verdict by a jury overturned by the judge on no other reason than that he/she happened to come to a different conclusion. a guilty verdict by a jury overturned by an appellate court on no more evidence than the trial transcript despite the fact the court did not personally witness any of the testimony given. a guilty verdict by a jury recognised by the judge but the minimum, or even a suspended sentence, given by the court indicating a different estimation of guilt by the judge. lack of any substantial public accountability of judges and magistrates, as evidenced by rarity of them being removed from office for improper behaviour, as compared to police or politicians being removed via courts or elections. evidence of tainted testimony after an acquittal or further evidence of guilt coming to light, but a repeat prosecution denied due to so called ‘double jeopardy’ laws. a felon convicted and sentenced for more than one serious, distinct crime allowed to serve his sentences concurrently (effectively ignoring the shorter sentence). inability for barristers to be held answerable for negligent behaviour while appearing in court. inablility for judges and magistrates to be held answerable to the people for perceived incompetence or bias. inablility for judges and magistrates to be held answerable for crimes committed in the performance of their duties. although technically possible, no guarantee for the victim or others to launch a private prosecution against an accused if the public prosecutor uses his/her discretion not to proceed. rarity of witnesses caught lying when giving evidence to be prosecuted for perjury. Crime and other forms of injustice are not things that just happen where there is nothing one can do about it. Crime statistics for example, differ depending on the country and even vary per generation within the same country. There very much is a cause and effect with regards to criminal and tort legislation as well as the rights of police in investigating crime and the rights of the prosecution and the defence in the criminal prosecution process. Democracy and the rule of law must definitely play their part. Everyone should be equal before the law and the law should be absolutely nothing else than what the people request. For example in the criminal trial sentencing process, punishments should reflect the beliefs and values of the Australian people in general rather than any elitist minority segment of the population who may think they know better.